From our famed Origin Collection, Tara's Diary presents this stunning bead full of Irish history, symbolism and spirit. 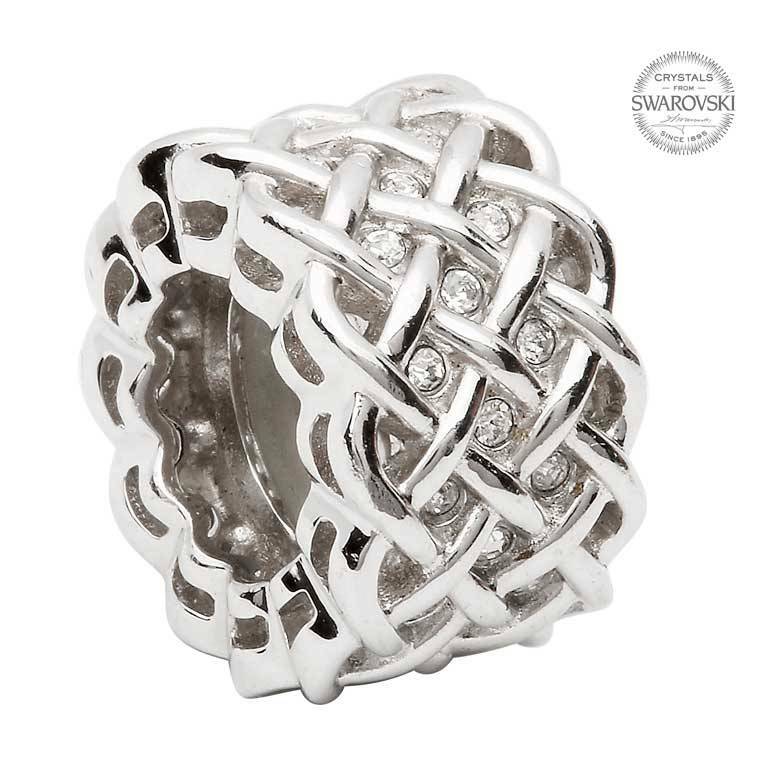 The sterling silver of the bead is an elegant platform for the intricate and unique knotwork. Throughout the centuries, the Irish have prided themselves on being faithful, outgoing and above all, strong like the cords of this knot work. The delicately designed knotwork plays a role in the Irish narrative by creating a visual representation of the nation's tenacious and never ending spirit. The rope like strings tie firmly into one another and are embellished with a Swarovski® crystals inbetween the knotwork.